Mariners are advised that weather permitting the Isle of Mull Swim will be taking place on Saturday 06 May 2017. 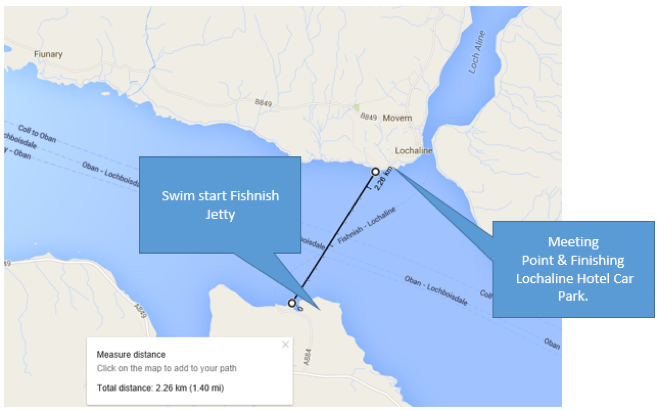 The event is an open water swim across the Sound of Mull with participants setting off from Fishnish, Isle of Mull about 10:30hrs and swimming directly to Lochaline, Morvern. Approximately 50 swimmers will participate and will be accompanied by safety craft comprised of 14 kayaks and 3 RIBS. Safety boats are advised to monitor VHF channel 16. Mariners navigating the Sound of Mull during the period when the open water swim is taking place are advised to do so with caution, maintain minimum safe speed and remain well clear of all swimmers and support craft.